6,350,000 Austrians are being called to ballot on 28th September next for early general elections. On 7th July the People's Party (ÖVP) together with Vice-Chancellor, Wilhelm Molterer, announced the withdrawal of the party from the government coalition led by Alfred Gusenbauer (SPÖ) that has rallied the country's two main parties since January 2007, i.e. the Social Democratic Party (SPÖ) and the People's Party. On 9th July the Austrian Parliament unanimously approved its dissolution. Alfred Gusenbauer therefore became the Chancellor to have undertaken the shortest mandate in the second Austrian Republic. The "grand coalition" never succeeded in asserting itself and the two parties never succeeded in working together to become partners. The People's Party, surprised by its defeat in the last general elections never accepted the fact that it did not lead the government. Although the Social Democratic Party wanted to establish major reforms, the People's Party made the re-balancing of the budget a pre-requisite before any reforms could be undertaken. For 16 months both parties gave the impression that they were incapable of acting and spent their time arguing. However although the opinion polls show that in March 80% of Austrians were unhappy with the government very few said they wanted to return to ballot; more than 2/3 of them (67%) said they were against early elections. Most Austrians say they want to see the two major parties put an end to their fighting and start co-operating. On 4th March the Social Democratic Party and the Greens voted together for the establishment of a parliamentary enquiry against the previous government of Wolfgang Schüssel (2004-2007) and notably against the Home Minister, Liese Prokop for neglect and corruption in the inquiry into the disappearance of Natasha Kampush, the young Austrian woman who was kidnapped in 1998 and found again in 2007. The former chief of the criminal police Herwig Haidinger accuses the government led by Wolfgang Schüssel of having put pressure on the police forces and of having prevented the arrest of the kidnapper, Wolfgang Priklopil, who committed suicide in 2007 after the young woman escaped from the place he had held her prisoner for 9 years. Apart from the vote on this parliamentary enquiry the People's Party did not really appreciate the signature of an open letter on 26th June by Alfred Gusenbauer and Werner Faymann who succeeded him as leader of the Social Democratic Party in the daily Kronen Zeitung in which the two men maintained that any modification to the European treaties which would affect Austrian interests (including any revision of the Lisbon Treaty, ratified by Austria on 13th May) would now have to be decided upon by referendum. Alfred Gusenbauer and Werner Faymann consulted neither the leaders of their party nor their partners in the People's Party before writing their text. Owned by Hans Dichand, a confirmed eurosceptic, the Kronen Zeitung has three million daily readers, i.e. 43% of the Austrian population old enough to read a newspaper (it is the most important rate in the world for a daily). With this proposal, an old claim on the part of the eurosceptics, the Social Democrats are demonstrating that they feel no compunction in drawing closer to the populists with the upcoming elections in mind in a country which appears to be one of the most eurosceptic (according to the most recent poll by Eurobarometer in the spring only 36% of the Austrians believe their membership of the EU to be a positive thing in comparison with 52% on average in the Union). "Hostility towards Europe has become a powerful movement in Austria and the Liberal Party (FPÖ) led by Heinz-Christian Strache is reaping the benefits of the main parties' inability to explain to voters what advantages they have in belonging to the EU and of the enlargement in the East," analyses political expert Thomas Hofer. This new position with regard to European affairs finally caused the collapse of the government coalition, since the Social Democratic Party and the People's Party do not share any joint projects although European policy until now was the subject of a consensus - but now it is the factor of their division. The People's Party has chosen to break the coalition agreement. Political expert from the Institute of Journalism and Communication Studies in Vienna, Hannes Haas, maintains that Werner Faymann, believed to be a man of compromise gave in to a moment of "panic" when he signed the text. Foreign Minister Ursula Plassnik (ÖVP) revealed that she had received an offer of support from the newspaper Kronen Zeitung against the promise of a referendum on the Lisbon Treaty – an offer she virtuously declined. "I believe a good share of the negative opinions (about the European Union) is due to one type of media in particular, the Kronen Zeitung," she declared denouncing the "simplifications that lead to dead ends", which damage Austria's credibility in the international arena. Parliament has two Chambers: the Nationalrat where 183 federal representatives have a seat and the Bundesrat, which has 64 representatives for the Länder. The members of the Nationalrat are elected by proportional voting (a minimum of 4% of votes cast is necessary to be represented in Parliament) except for in the capital of Vienna and the Land of Voralberg where majority voting holds sway. It is obligatory to vote in some parts of the country (the Länder of Carinthia, Styria, Tyrol and Voralberg). The number of representatives elected depends on the ratio between the number of voters in the constituency and that of citizens who are domiciled in the constituency in the last census. Political life has been dominated for a long time by the two main parties: the People's Party (ÖVP) and the Social Democratic Party (SPÖ). Until the 1970's these two parties rallied 93% of the vote on average in each national election. But two phenomena modified the electoral landscape at the start of the 1980's: the birth of new parties (for example the Greens) and the renaissance of former minority groups (such as the Liberal party-FPÖ created in 1956). Austria is run with the "Proporzsystem", a code whereby the two main parties share the positions in the public sector equally. In addition to this the social partnership between the management and unions (Professional Chambers bringing together workers and employees, farmers, industrial and trade workers are included in the political decision making process) has comprised a key element in the country's social equilibrium since the end of the Second World War. For the first time on 28th September next people aged 16 to 18 will be allowed to vote in the national elections (a measure that was already in application in three of the nine Länder). The electorate will increase by more than 200,000 in comparison with the previous general election on 1st October 2006 including 40,000 aged 16 to 18. "We decided to show that young 16 year olds can take part in political life because it is about their future," indicated Health Family and Youth Minister, Andrea Kdolsky (ÖVP). The reform modifying the electoral law approved in 2008 changed the length of the government's term in office which rises from four to five years; this measure was designed to harmonise the mandates of all those in government (governors of the regions and most mayors are elected for five years). The reform also makes it easier for Austrians living abroad to vote since they can now fulfil their civic duty by mail. The latter measure enabled the adoption of the entire reform by the People's Party whom the voters abroad traditionally support whilst it has been revealed that the 16-18 year old generally tend towards parties that lie on the left of the political scale. This reform is only the first part of a reform of the State that includes, amongst other things, the rationalisation of competence sharing between the Federal State and the Länder. The small parties (with less than three MPs in the Nationalrat) must obtain the signatures of 2,600 citizens if they want to take part in the general elections. The signatures must be collated across the entire country: a minimum of 500 in Lower Austria and in Vienna, 400 in Upper-Austria and Styria, 200 in Carinthia, Tyrol and in Salzburg and finally 100 in the Burgenland and the Vorarlberg. - the Liberal Party (FPÖ), led by Heinz Christian Strache lies on the far right with 21 seats. The Bundesrat is the representative organisation for the Länder. Each Land has its own Constitution and is administered by a government (Landesregierung) and a Diet (Landtag). The Länder are competent in all areas that are not the responsibility of the Federal State: town and country planning, protection of the environment, urban development and transport. Each Land elects (by proportional vote according to a relatively complex system: a proportional number of representatives to the Bundesrat (a minimum of three). 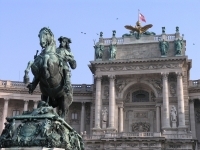 Vienna which is the most populous Land has 12 representatives. The presidency of the Bundesrat is assumed by a different Land every six months in alphabetical order. The general elections on 28th September will be difficult for the two major parties (SPÖ and ÖVP) that are under the threat of two concomitant trends: renewed growth for the extreme right and the continued fragmentation of the electorate that has been witnessed over the last few general elections and which is causing problems for the Austria two-party system. 1986 the year the Greens were born and Jörg Haider emerged to take the lead of the Liberal Party, is often considered as the date when things started to change. Although some believe that the Austrian far right had been weakened and even defeated after its government experience (2002-2006) with Chancellor Wolfgang Schüssel and its scission into two opposite parties in 2005 – they were badly mistaken. According to political analysts the two parties furthest on the right of the political scale (FPÖ and BZÖ) may win over 20% of the vote together on 28th September. The director of the Institute for Social Research and Analysis Christoph Hofinger believes that "on the day of the vote the far right will take votes from the two main parties, the Social Democrats and the Liberals and they will also win some votes from those who thought they might abstain." Between 1983 and 1999 850,000 voters left the People's Party and 780,000 left the Social Democratic Party. Another worrying detail for the political analysts: the results of a poll undertaken by the Association for Social Science Research, published on 29th July, according to political expert Ernst Gehmacher, reveals a "worrying and dangerous" situation for the country's political life. In this poll more than one third of Austrians say they do not trust any of the political parties, mostly for the following reasons: the failure of the grand coalition, the poor image they have of politicians and the feeling of insecurity they have. "The time for the small parties has come," he says. For the first time during the last general elections on 1st October 2006 the Greens came third just ahead of the Liberal Party (532 votes). In all 10 political parties will be running in the election on 28th September next, a record in Austrian history. 9 of them (SPÖ, ÖVP, FPÖ, the Greens, BZÖ, the Liberal Forum (LIF), the Communist Party (KPÖ) led by Mirko Messner, Save Austria (Rettö) led by Wilfried Auerbach, who is against the European Union and who aims to organise a referendum on the Lisbon Treaty, and the Christians (DCP) led by Alfons Adam) will have lists across the country; the last one, the electoral alliance called The Left will only be present in 5 Länder. These early general elections are dangerous for the two major parties. "The two major parties will not benefit from these early elections from which they have nothing to gain and which will certainly not allow them to achieve a comfortable result with which to negotiate," says Sven Gächter, editor with the weekly Profil. After the election on 28th September Austria might, for the first time in its history, have to form a tripartite government. "Enough quarrelling" (Genug Gestritten), this is the slogan adopted by the SPÖ. The choice of this slogan has been the focus of many ironic comments, some saying that this good resolution comes a little late. The party in power has chosen, contrary to its main rival – the People's Party, to include the portrait of its new leader, Werner Faymann, Transport Minister on its electoral posters. He was elected with 98.36% of the vote of the 574 delegates present during the 40th party congress that was held in Linz on 8th August in replacement of outgoing Chancellor Alfred Gusenbauer. While the latter finally made himself many enemies within his party and was regularly accused of 'giving in' to the People's Party and finally declared responsible for the failure of the government coalition, Werner Freymann is the man of consensus. The Social Democratic Party chose to promote the reform of the health system in its programme over which it never succeeded in coming to agreement with the People's Party. It has also promised tax reform to the benefit of the middle and lower classes as well as the abolition of university enrolment fees in 2009, if they win on 28th September. Finally it is promoting the success achieved in terms of employment and recalls that unemployment has fallen over the last few months. However, in June, inflation rose to its highest level in the last fifteen years, reaching 4%. The Social Democrats would like to reduce taxes by 2.5 billion € next year and reduce taxation on basic products. On 21st August last the director of the Austrian Institute of Economic Research, Karl Aiginger said it was urgent to undertake tax reform in Austrian employing the economic programme put forward by the Social Democratic Party. During the congress in Linz Werner Faymann officially rejected the possibility of a government coalition with the Liberal Party led by Heinz-Christian Strache. He also announced that he would not form a coalition with the People's Party if Wilhelm Molterer stayed as leader of the ÖVP and if Wolfgang Schüssel maintained the leadership of the People's Party in Parliament. "Enough is enough", this is the motto of the People's Party for the election on 28th September. Amongst the themes they are developing are care for the elderly – a theme of the previous election campaign in October 2006 – the fight against inflation, immigration control and the obligation for foreigners living in Austria to learn German. With regard to inflation Wilhelm Molterer has suggested the reduction of taxes on the lowest salaries and to increase subsidies to families with children and retirement pensions by November 2009. The planned tax reductions should reach 2.7 billion € i.e. 4% of the total in 2010. Credited with 20% of the vote, i.e. nearly double the result achieved in the previous elections (11%) the Liberal Party is riding ahead in the polls just one month before the election. Its president Heinz-Christian Strache, 39, grooms his 'young politician' image in the face of people like Alfred Gusenbauer and Wilhelm Molterer. His popularity has now obliged the two main parties to sit up and pay attention. The People's Party has toughened up its attitude towards immigration, even suggesting the expulsion of rejected asylum seekers for a ten year period and it is now firmly against Turkey's accession to the European Union; it would like to consult the people by referendum on this. The Social Democratic Party has also modified its approach to the European Union. Indisputably Heinz-Christian Strache enjoys an identical position as Jörg Haider during the general elections on 3rd October 1999. However, according to political expert Peter Filzmeier, "Jörg Haider rallied those nostalgic of the past. Today supporters of the Liberal Party are mostly men aged 30-40 who lie on the far right of the political scale." "The Liberal Party has chosen to act like Jörg Haider in the 1990's without Jörg Haider," analyses political analyst Anton Pelinka. Indeed the party systematically employs a populist opposition policy based xenophobia, the condemnation of Islam and the rejection of the European Union. On 14th August last Jörg Haider announced his return to the political arena and his decision to lead the BZÖ list on 28th September. The far right leader officially retired from national politics in 2006, relinquishing the lead of the party to Peter Westenhaler; he decided to focus his attention on his Land – Carinthia. "It is my duty as a patriot," he declared one week after being elected as leader of BZÖ after Peter Westenhaler received a nine month suspended prison sentence on 29th July for perjury and lying under oath and also for bearing false witness. The latter declared that he did not remark anything in particular and that he spent a very nice evening during the elections of 1st October 2006 when members of the party celebrated their electoral results whilst his body guard was found guilty of having injured the spokesperson of former Justice Minister, Karin Gastinger that very same evening. Just days before the election, Karin Gastinger had left the BZÖ accusing it of xenophobia. Jörg Haider indicated that whatever the result his party achieved (he has set the goal of rising beyond the obligatory 4% threshold to be represented in Parliament), he would remain in office as governor of Carinthia, a position that he will have to battle for in the next regional elections that will take place 2009 in that Land. He also said that he was not interested in a seat at the Nationalrat, but simply in the role of Chancellor. The director of the Gallup Institute, Fritz Karmasin says that "the presence of Jörg Haider in the race will attract Liberal Party supporters towards the Alliance for the Future of Austria." According to the director of the Institute for Social Research and Analysis Christoph Hofinger, Jörg Haider was once one of the most talented European politicians and it is difficult to perceive the support he still enjoys today, but his personality will attract voters. "I think his presence in the race will boost the participation rate," he says adding, "he is very intelligent but out of Carinthia his image is rather a poor one." The Alliance for the Future of Austria will probably suffer from its lack of national coverage. The far right leader, who expulsed three asylum seekers from Carinthia, two Armenians aged 43 and 14 and a Chechen aged 44 sending them to the refugee camp of Traiskirchen (earlier a similar operation throwing out six people had failed, since Home Minister, Maria Fekter (ÖVP) requested the interception of the bus in which they were travelling towards the border of Carinthia), is due to focus his electoral campaign on immigration and foreigners. "In the little time left to him Jörg Haider will certainly hammer on again and again about his position on these subjects," analyses Wolfgang Bachmayer from the public opinion institute OGM. "There is no place on the political scale for a 2nd populist party," says Anton Pelinka. The BZÖ professes a similar ideology to the FPÖ and addresses the same electorate and rallies people on similar themes (condemnation of immigration, opposition to the EU, etc.). The Greens should benefit the most from the extension of voting rites to the younger end of the electorate. According to the director of the opinion institute Linz, Werner Beutelmeyer, the ecologist party appeals to the youngest for whom it is a "cool party". During the previous election on 1st October 2006 22% of those aged 18-24 voted in favour of the Greens, in comparison with 11% for the entire Austrian electorate. Former People's Party member Fritz Dinkhauser will lead his list on 28th September under the banner of "Citizens for Austria". On 8th June last the Tyrolian politician took the lead over the Social Democratic Party and came second in the regional elections that took place in his Land – winning 18.35% of the vote. Announcing a "modest, independent" campaign, Fritz Dinkhauser who says he is a "conservative-liberal" wants to undertake "politics for the people and not the politics of the lobbies." "The parties which are the best established should be wary, there is a great amount of frustration in the country," he warned. The candidate from the Tyrol said that a result of 6% or 7% would in his opinion be a "major success". The founder of Liberal Forum (LIF), Heide Schmidt decided to shelve her political retirement and lead her party's list on 28th September. Between 1993 and 1999 the party was represented in Parliament. Millionaire Hans Peter Haselsteiner, CEO of the company Strabag, Austria's leading construction group (and sixth in Europe) and spokesperson for the Liberal Forum with regard to economic matters, asked mid-August for taxes to be increased on the richest Austrians, thereby hoping to establish a "solidarity contribution" to protect social peace. Peter Ulram of the opinion institute Fessel-GfK believes that those voting for the Social Democratic Party and the People's Party may very well turn to the Citizens for Austria-Fritz Dinkhauser list rather than to the Liberal Party since the latter does not represent a serious alternative to the present form of politics. The analyst also believes that the Liberal Forum is more likely to attract voters from the left (Social Democratic Party and Greens) than those from the People's Party. The most recent poll by the Market institute and which was published on 28th August by the magazine News, places the Social Democratic Party in the lead for the very first time in terms of voting intentions with 28%. It is followed by the People's Party that is due to win 26%, the Greens (13%), the Liberal Party (20%) and the Alliance for the Future of Austria (4%). Citizens for Austria-Fritz Dinkhauser and the Liberal Forum are only due to win 3% and will not be represented in the Nationalrat. The recovery of the Social Democratic Party in the polls can probably be explained by Walter Faymann's recent announcement to push for the approval of a series of measures designed to improve Austrians' daily life in a vote during a special session of Parliament on 18th September. The Social Democratic leader wants to reduce VAT by half on food products, immediately abolish university enrolment fees and increase retirement pensions and subsidies granted to families. Wilhelm Molterer has accused the Social Democrats of employing an expensive, ineffective policy and of leading the country into chaos. 8 Austrians in 10 (80%) say they will vote on 28th September.